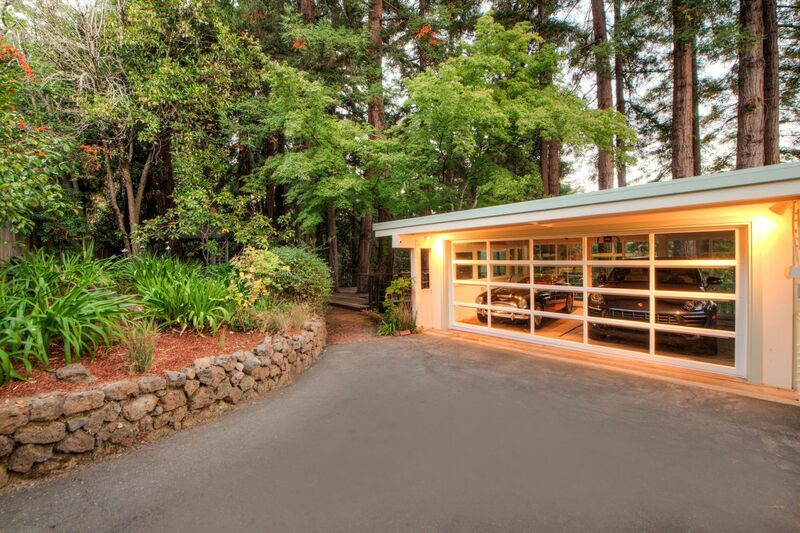 Open the gate to this incredible property and you will never want to leave. 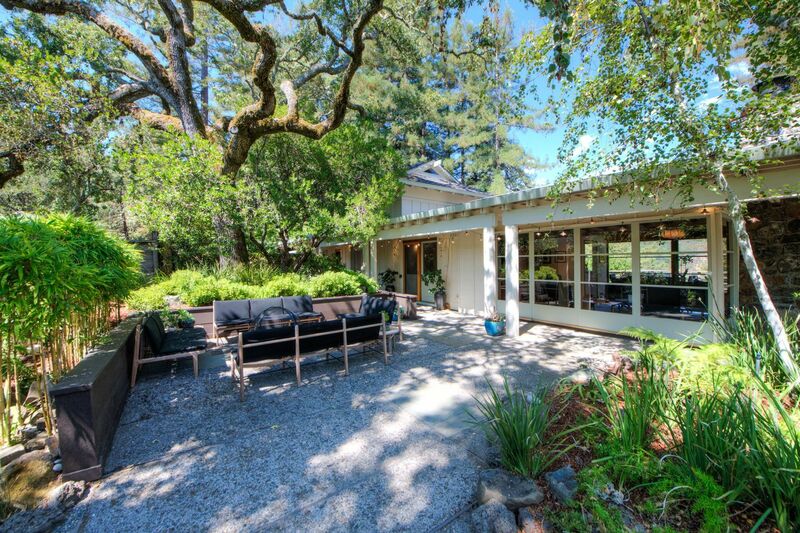 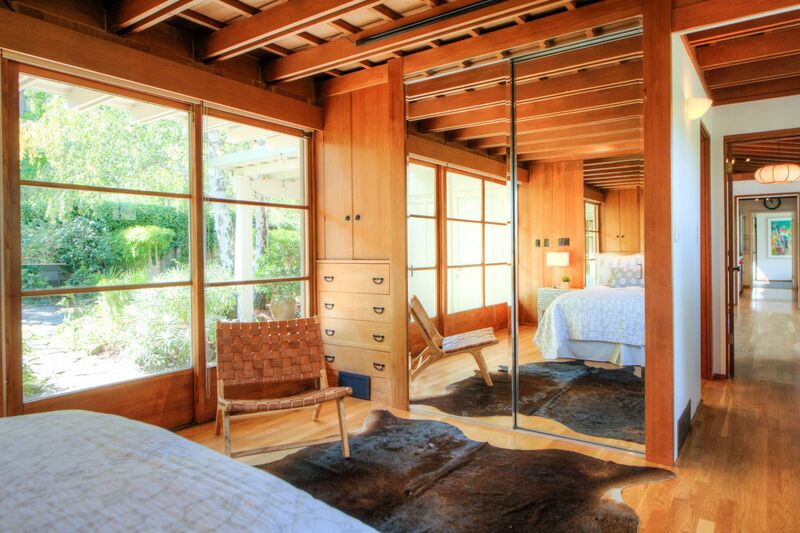 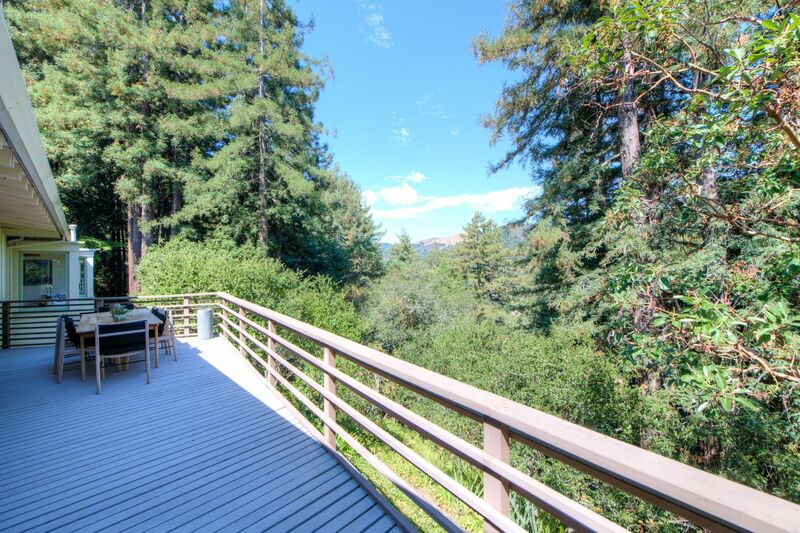 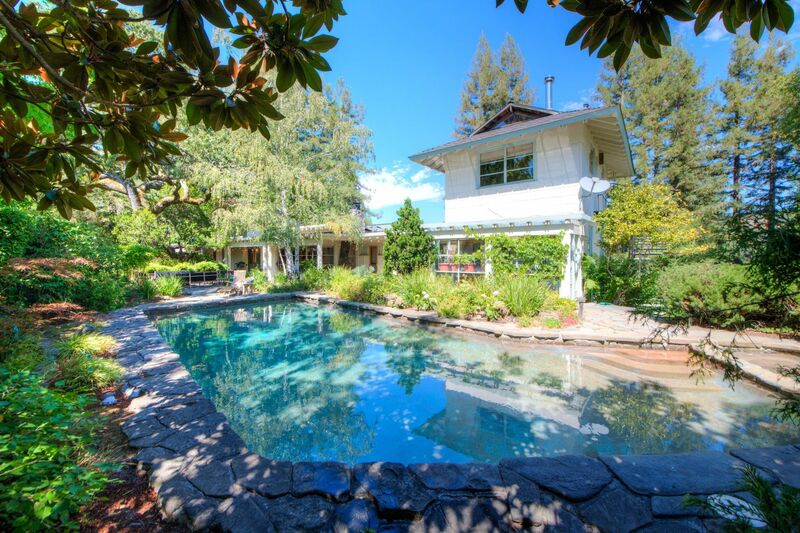 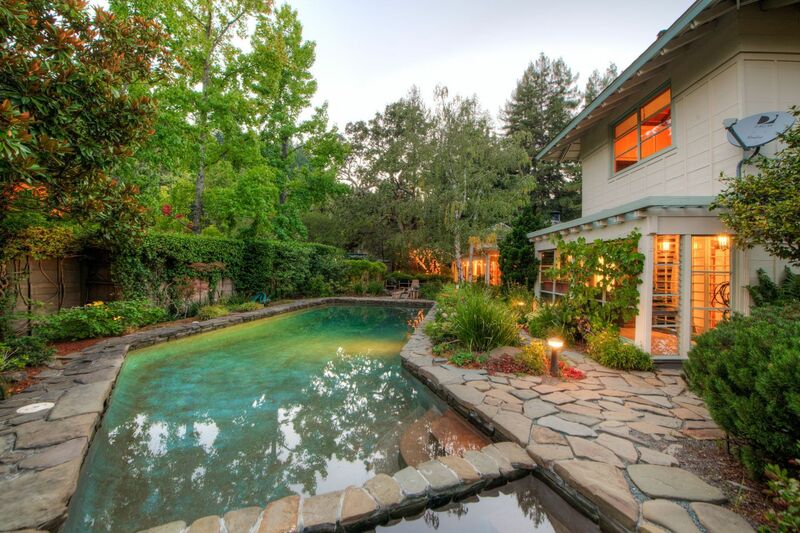 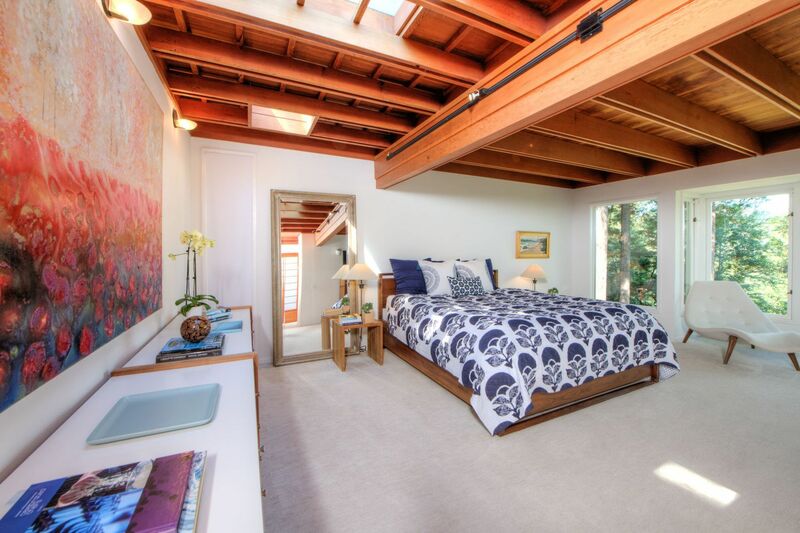 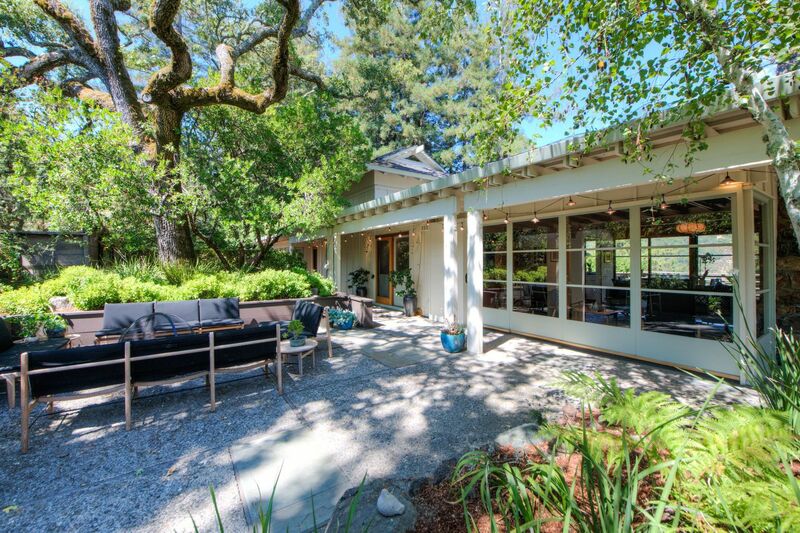 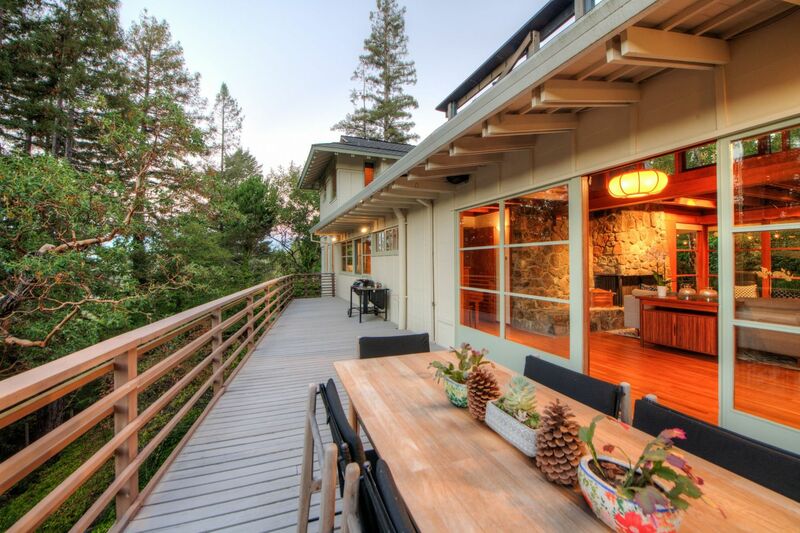 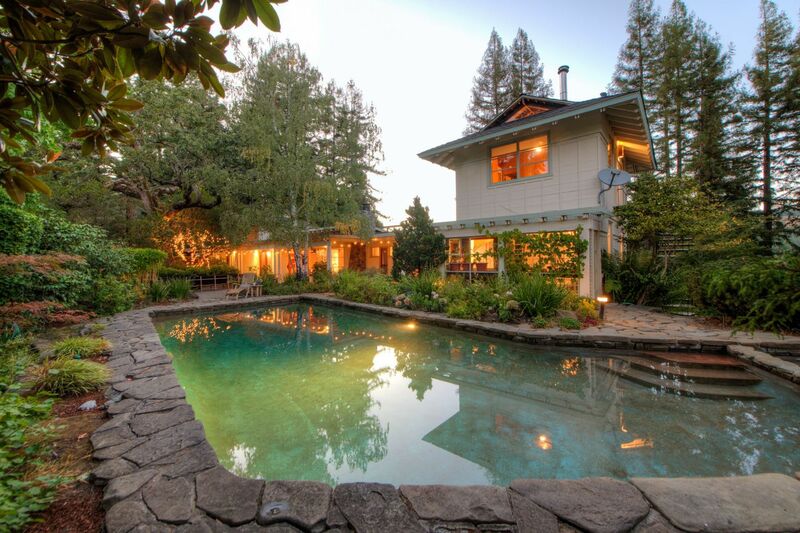 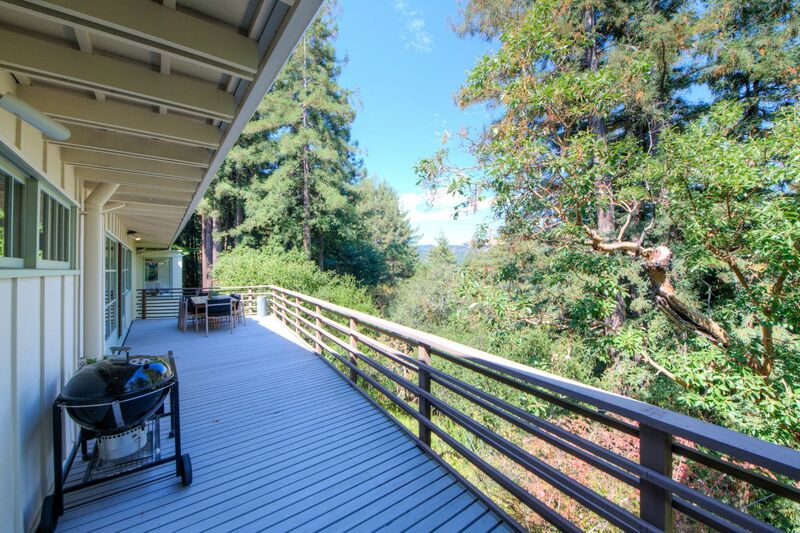 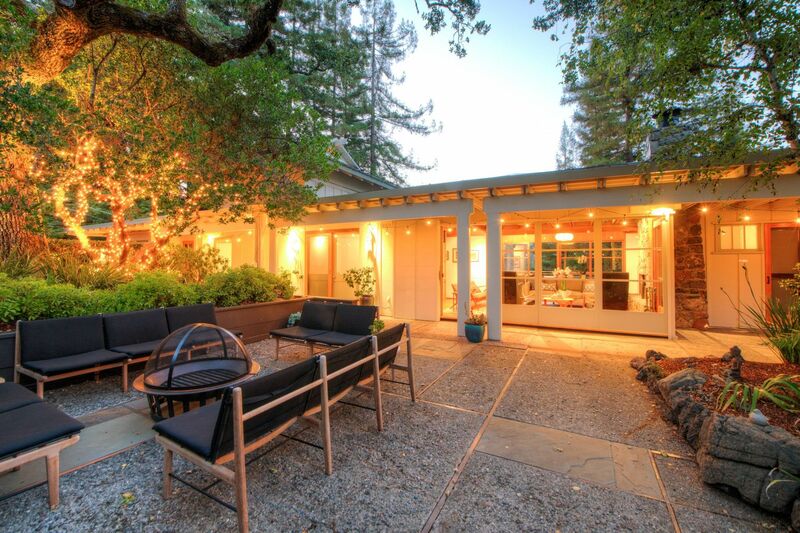 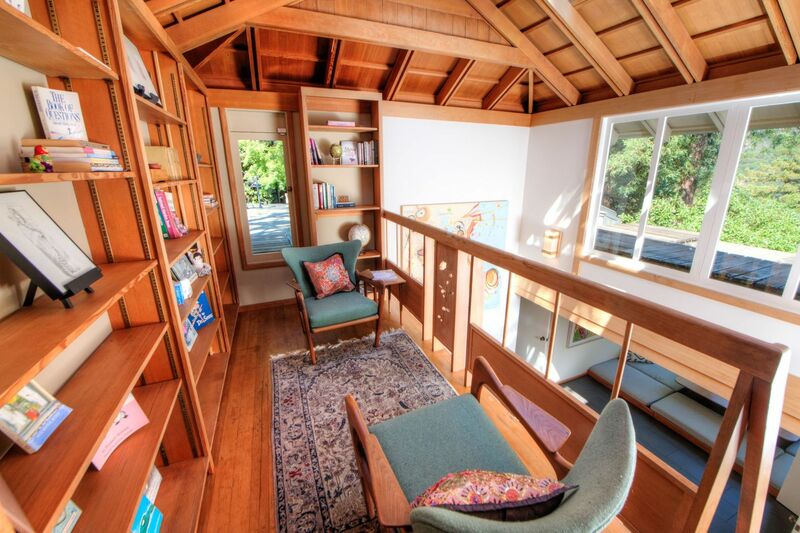 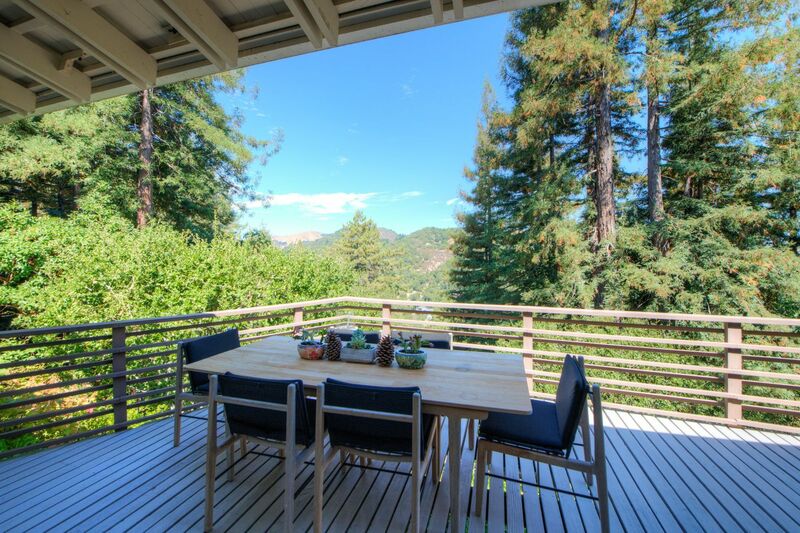 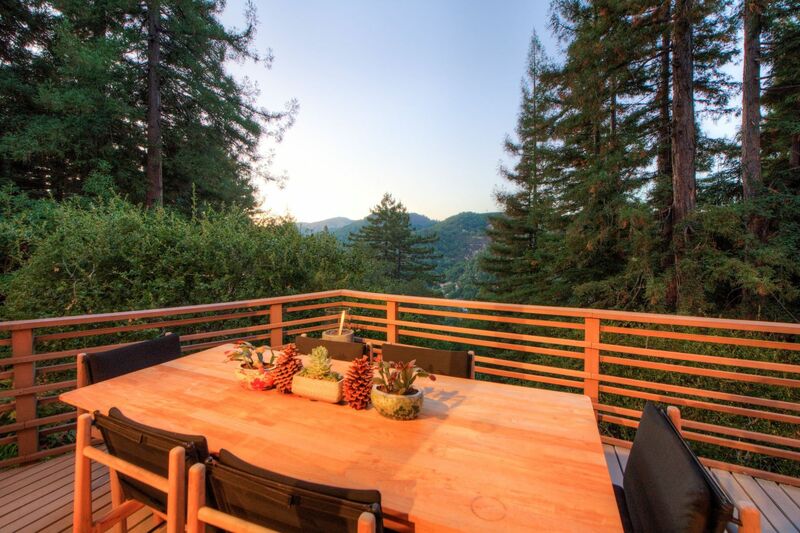 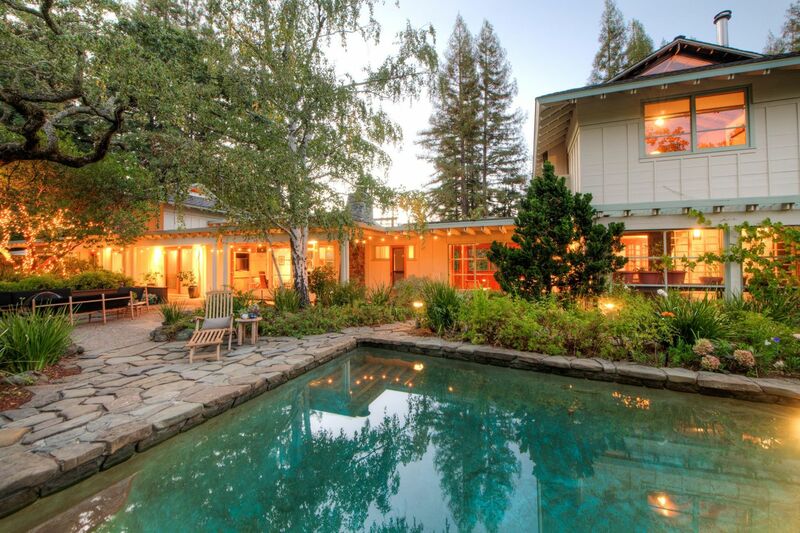 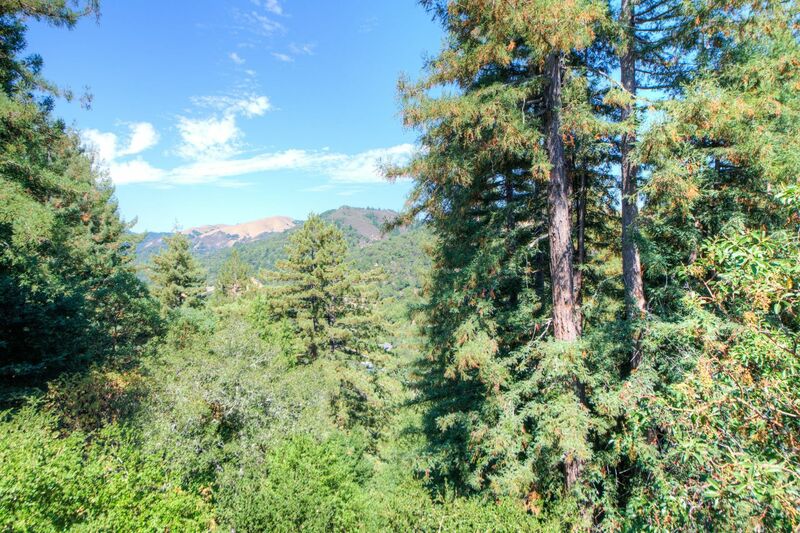 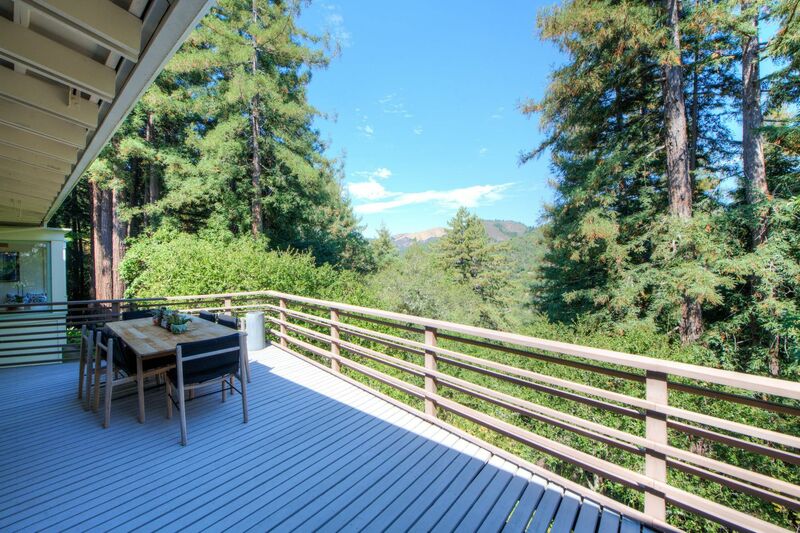 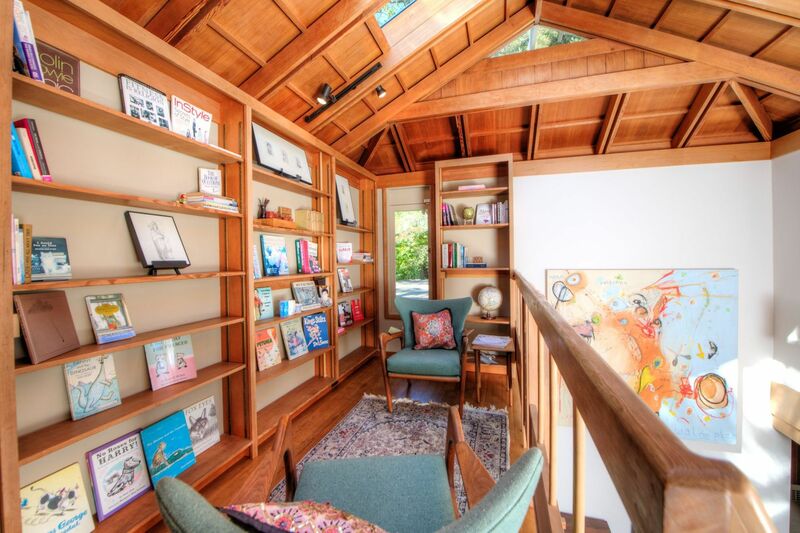 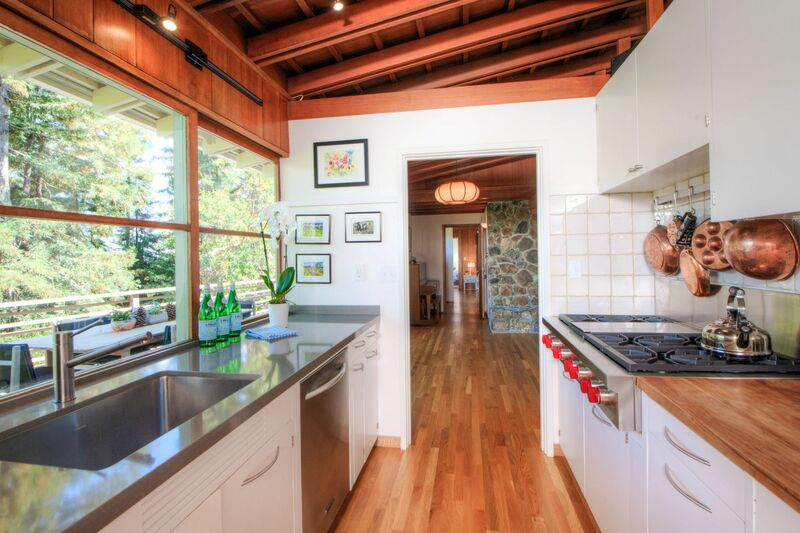 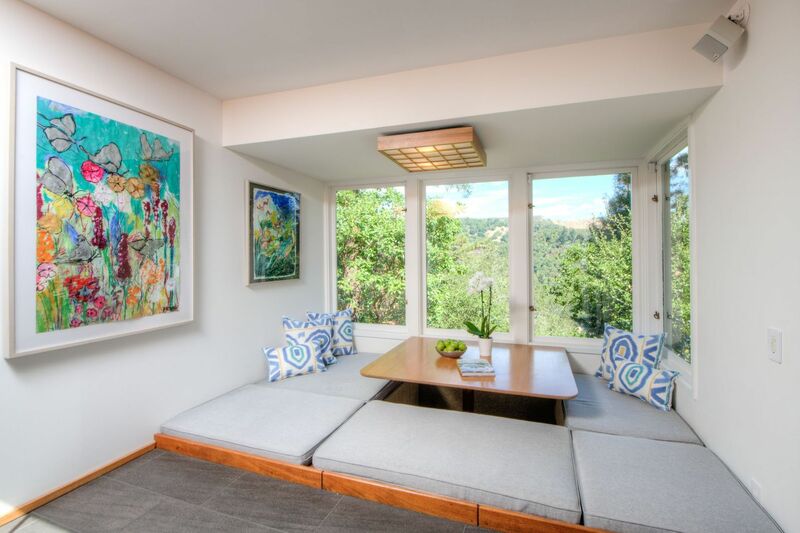 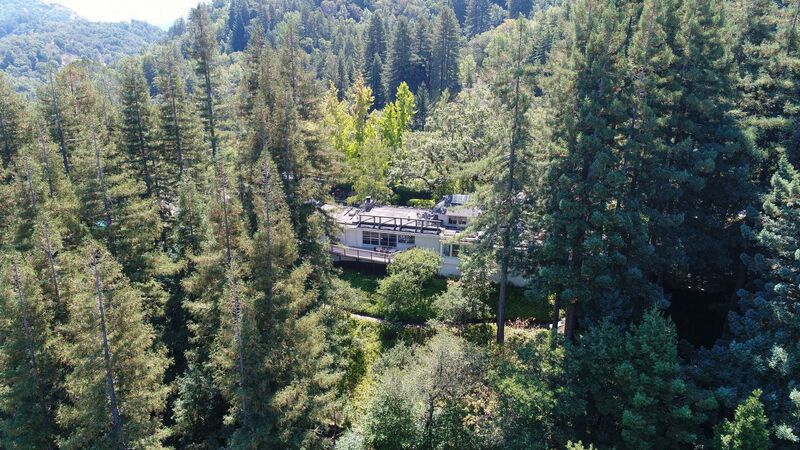 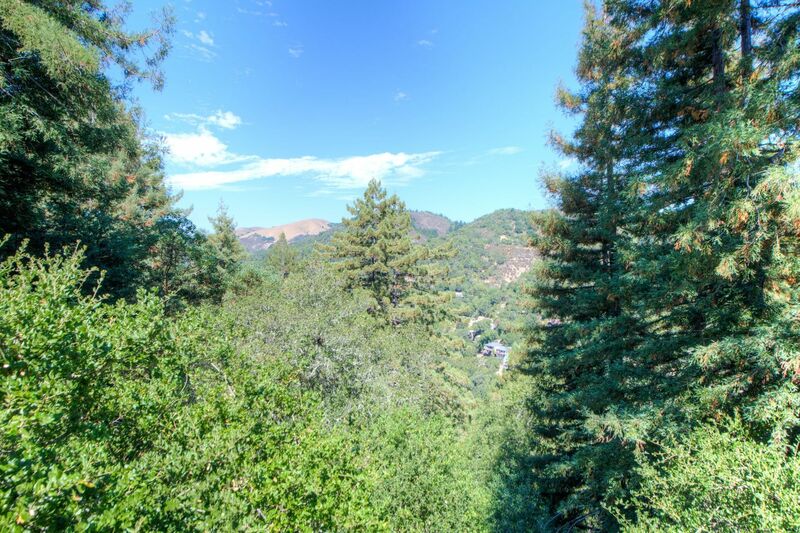 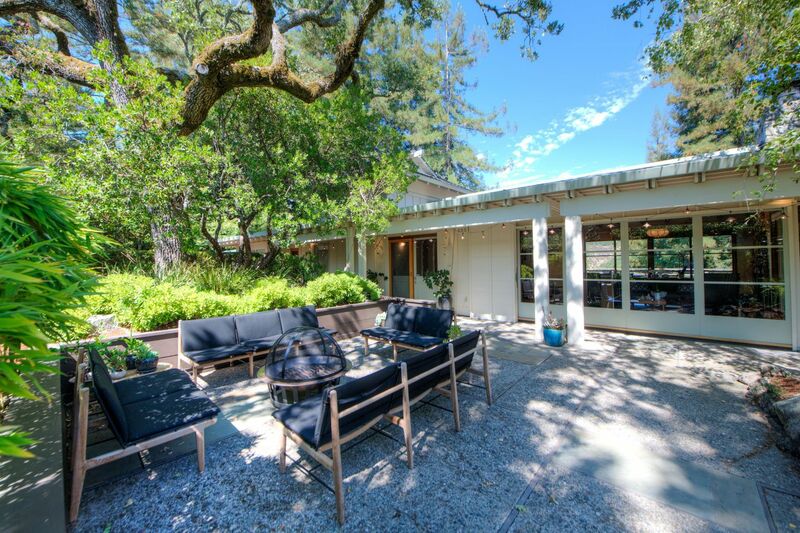 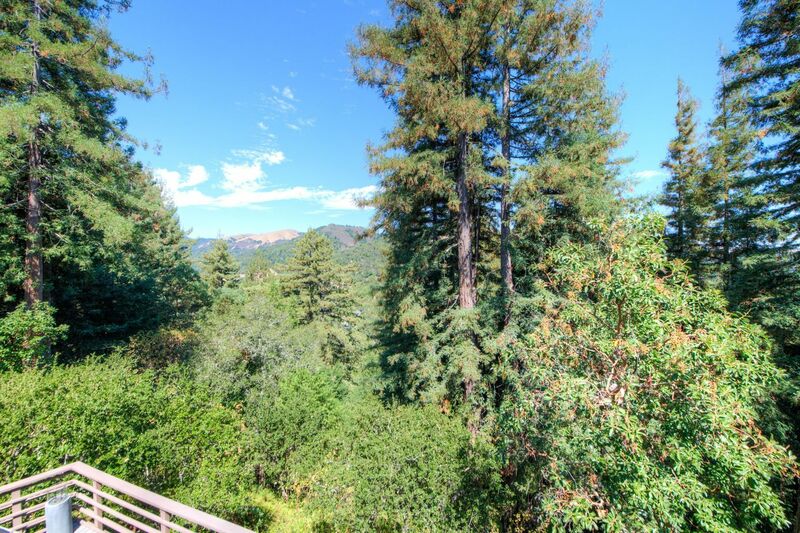 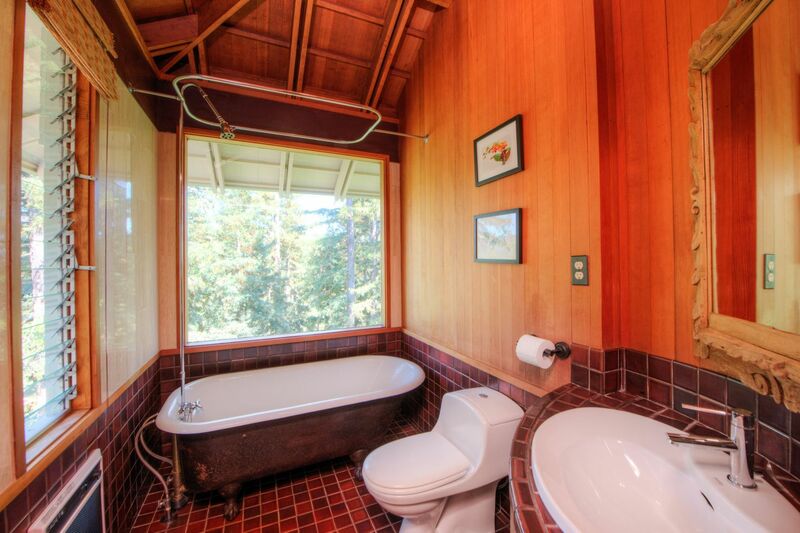 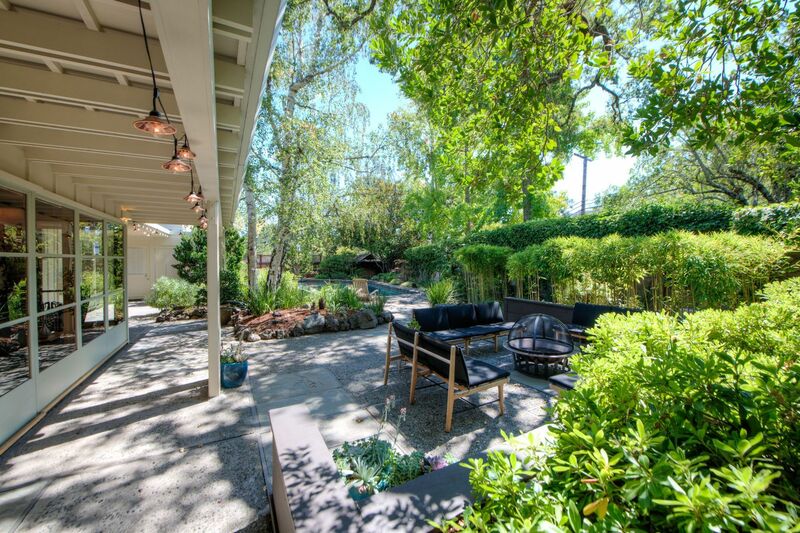 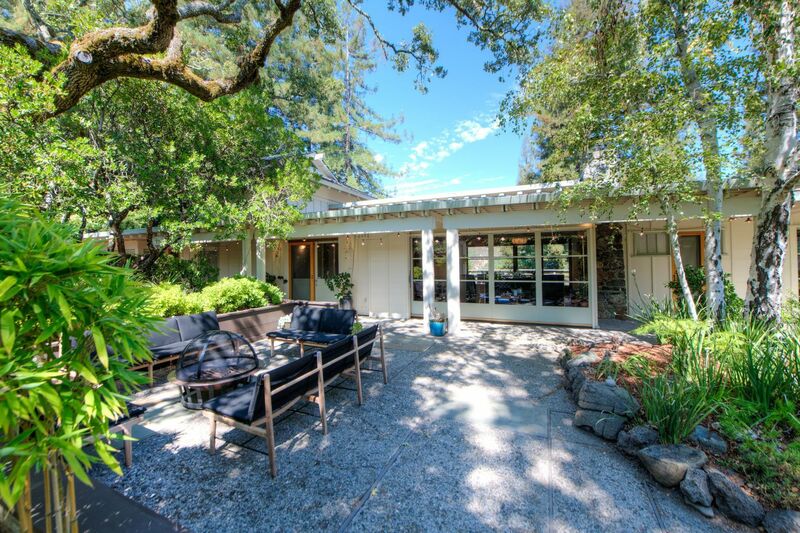 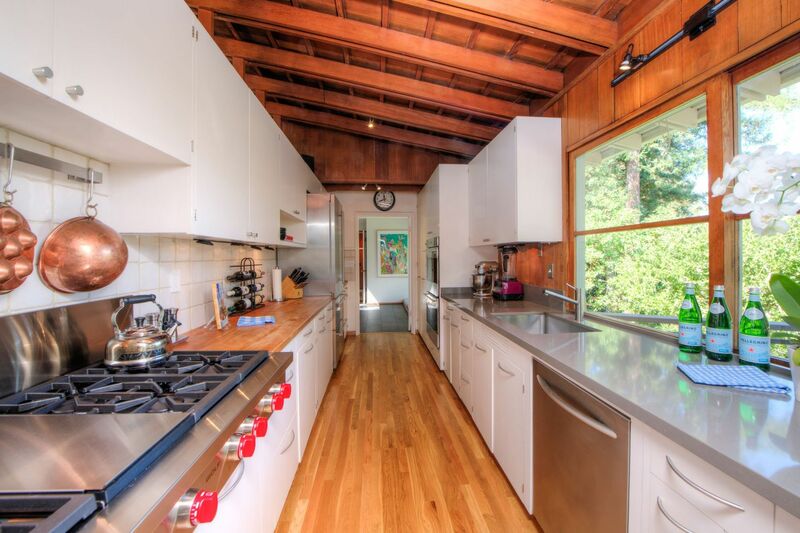 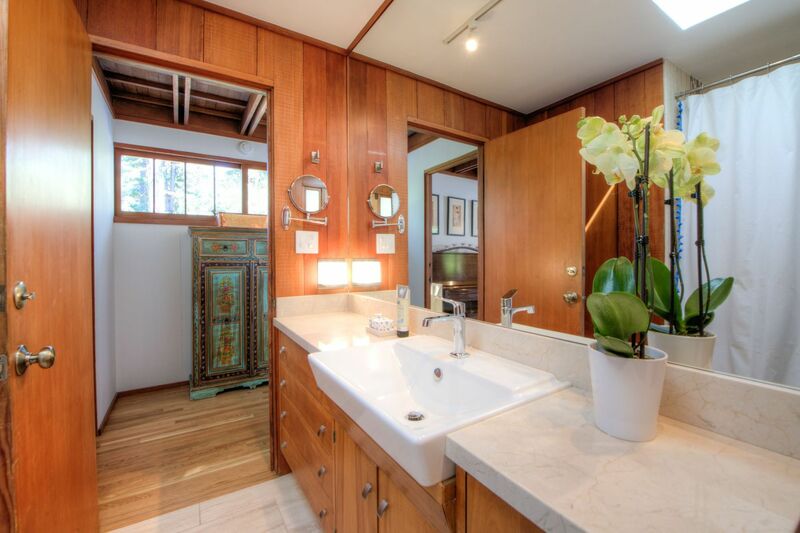 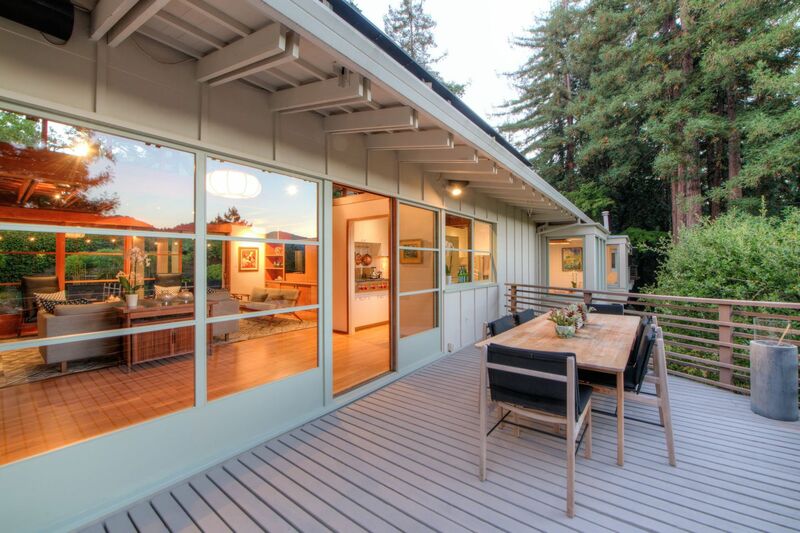 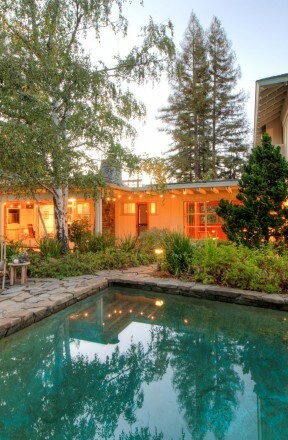 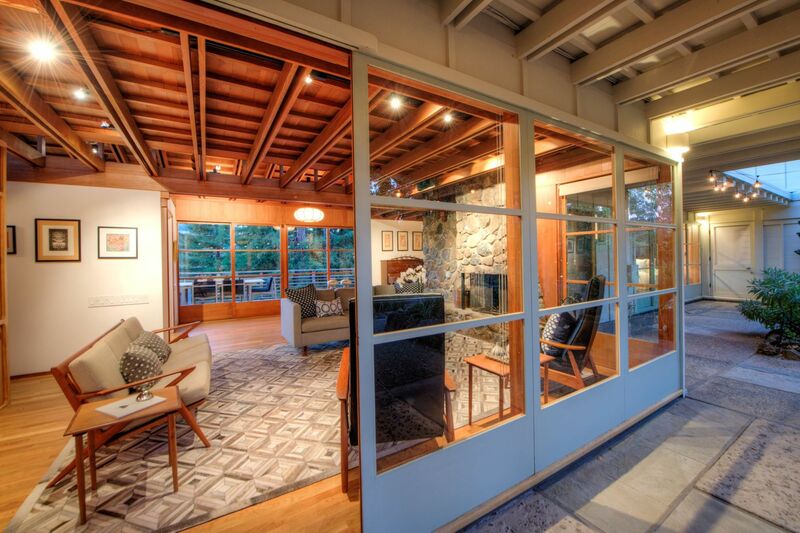 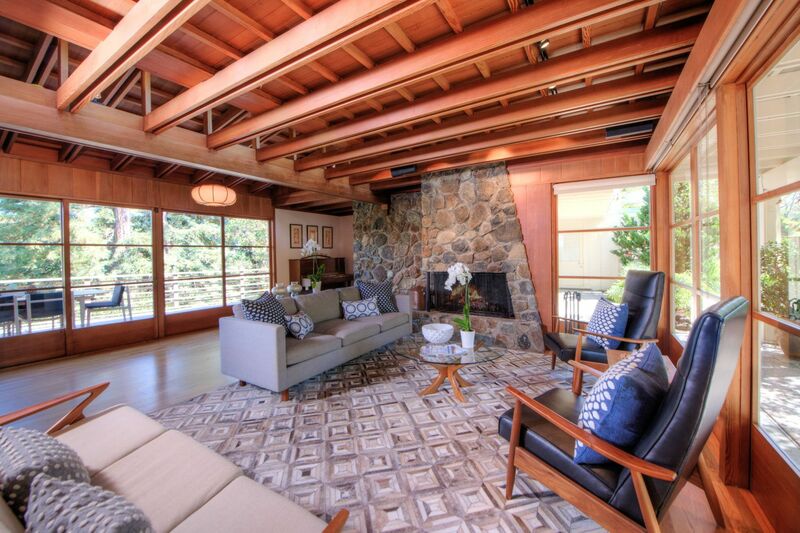 Located on over an acre on a private double lot, this mid-century modern is bathed in light yet situated among the redwoods giving it the quintessential feeling of Marin County with thousands of acres of trails all around. 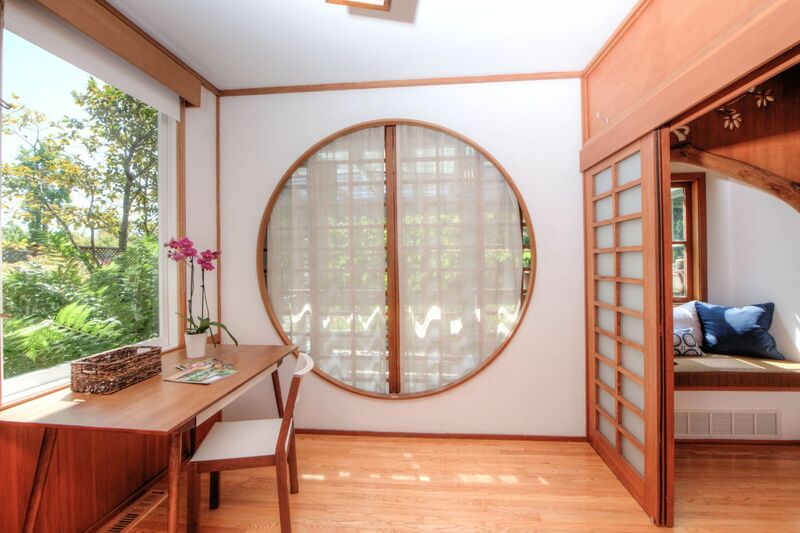 This Japanese-inspired home features one-level living at its best, integrating indoor + outdoor living seamlessly with walls of glass and verdant views from nearly every room. 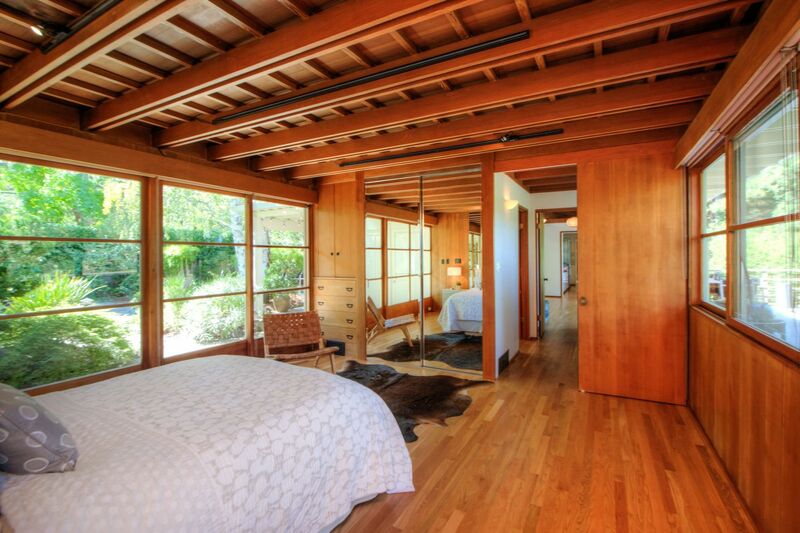 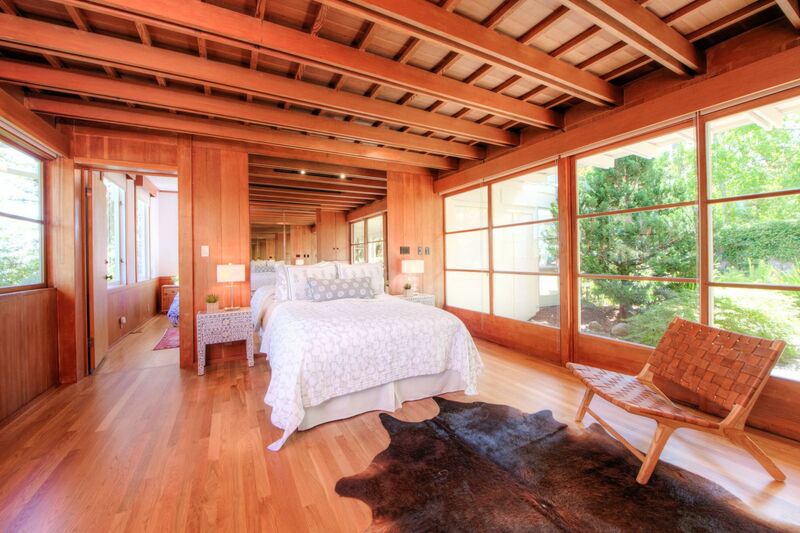 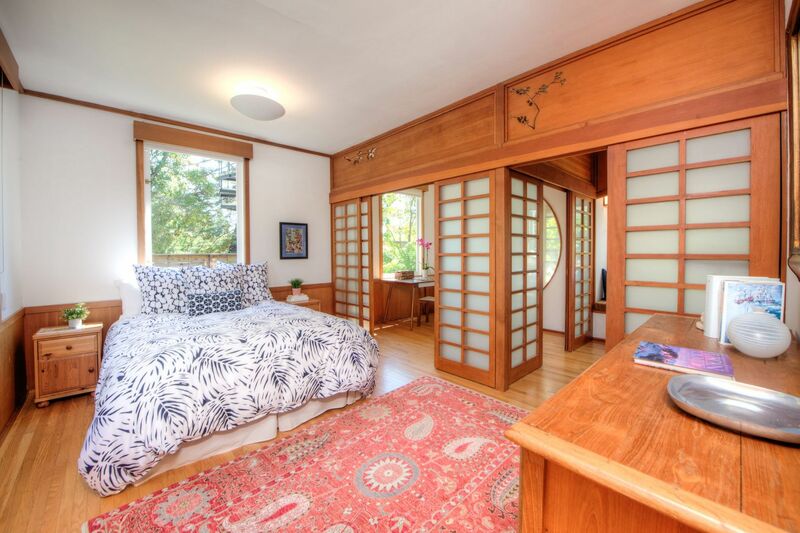 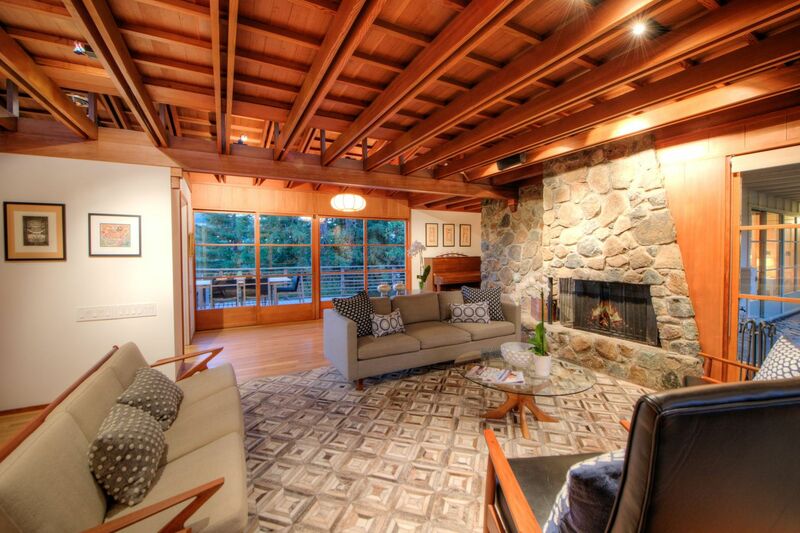 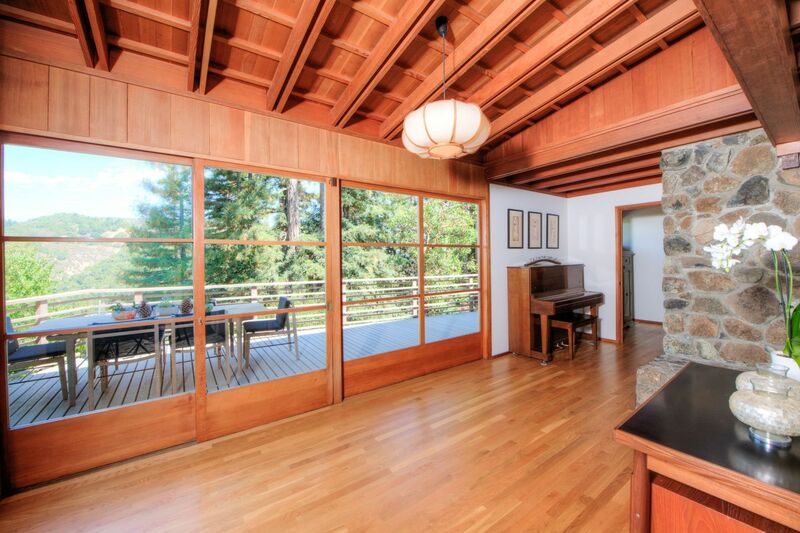 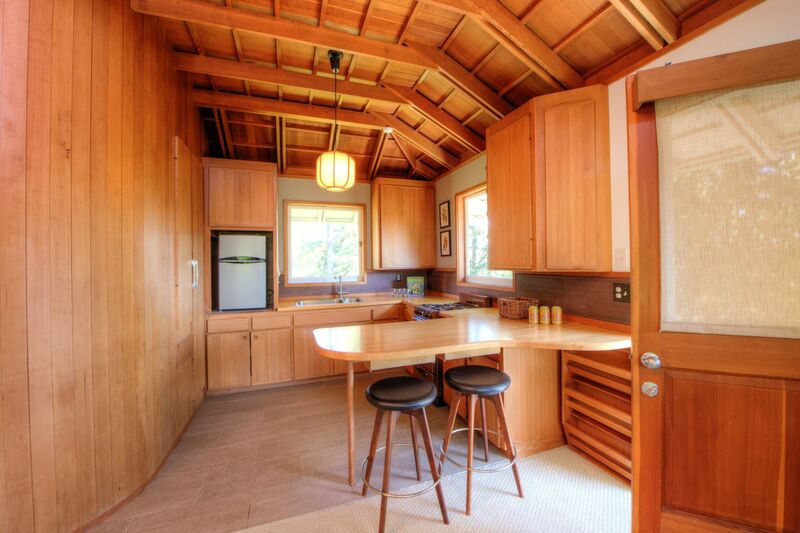 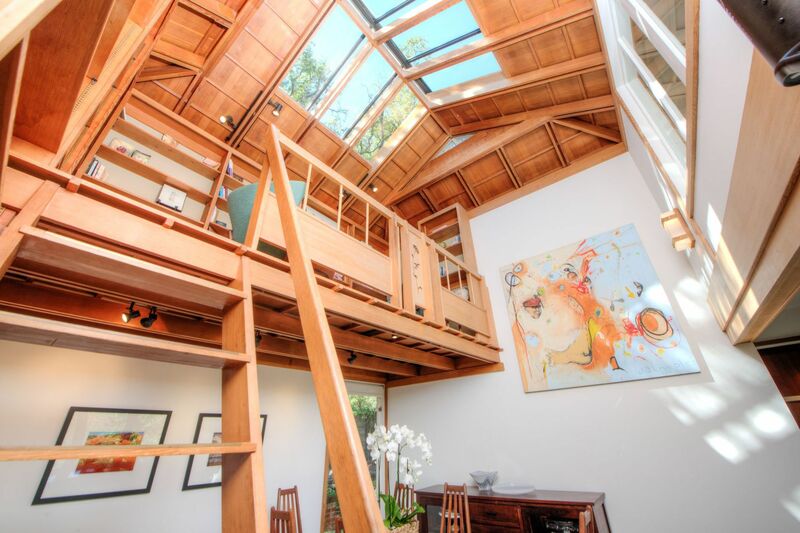 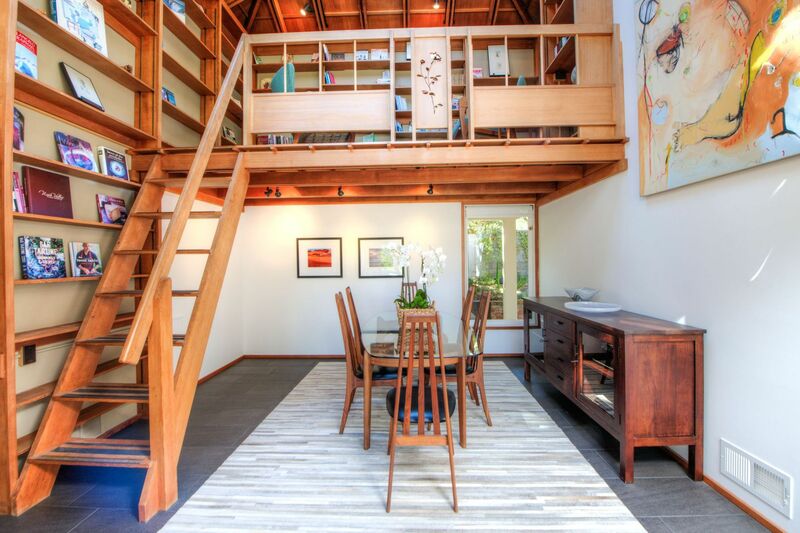 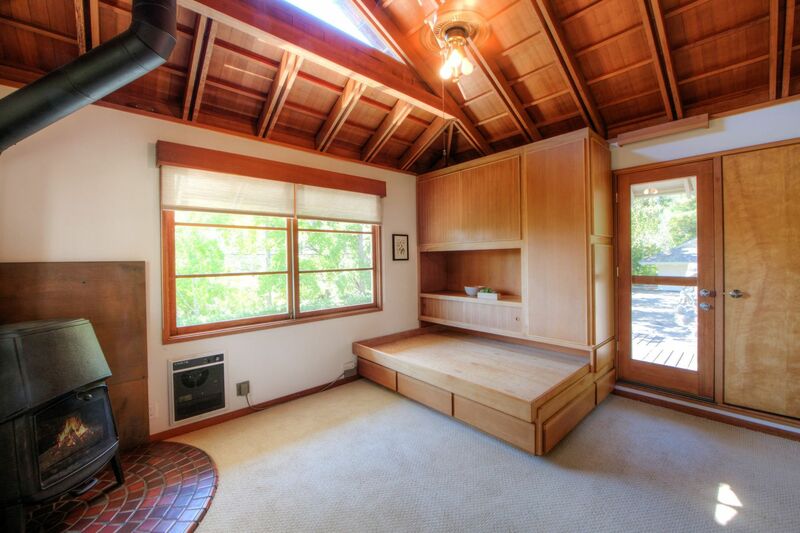 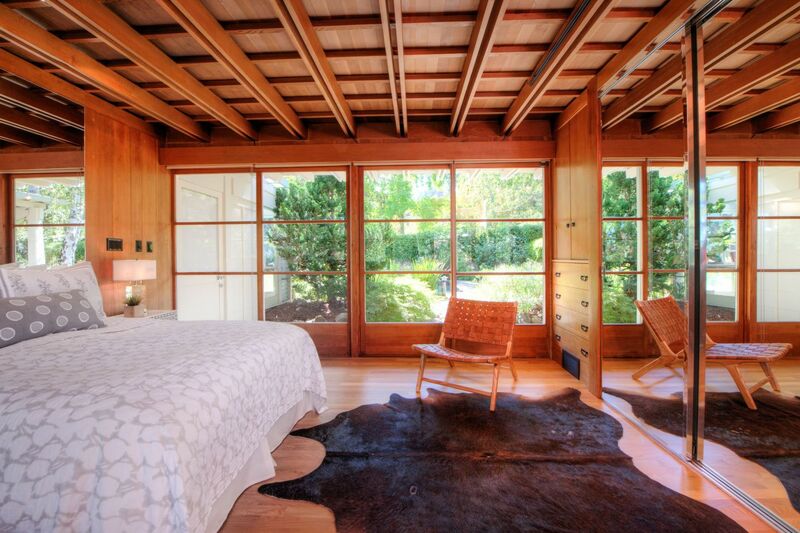 Clear vertical grain Douglas Fir and double raftered ceilings are featured throughout the home. 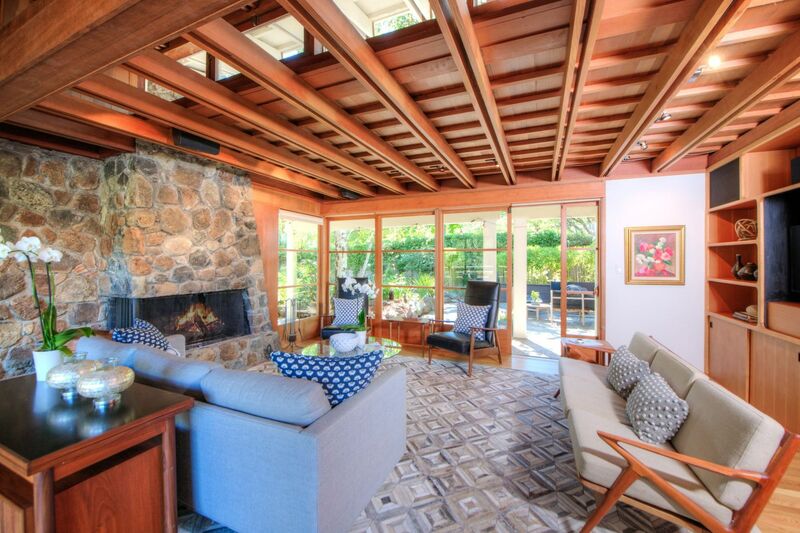 The spacious living room is highlighted with a huge stone fireplace and two walls of sliding glass doors that open out onto the deck on one side and pocket doors opening to the pool area on the other – absolute perfection for entertaining or relaxing. 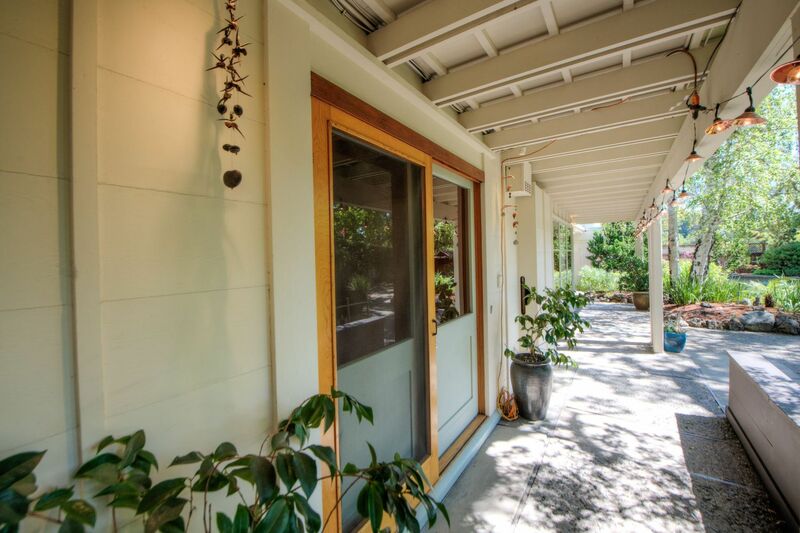 The natural materials create an effortless flow as you venture down the hall to the west wing which features one en suite bedroom with a wall of glass doors leading to the pool and an additional bedroom with two separate sitting areas and a separate entrance. 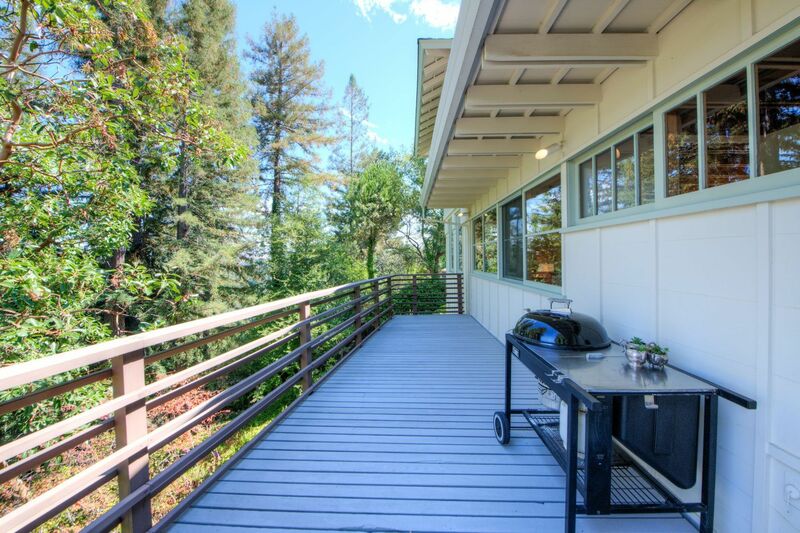 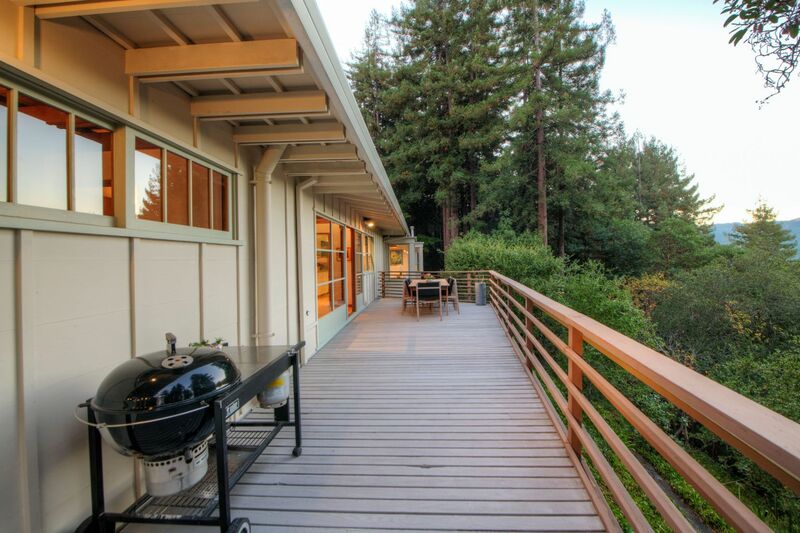 Head towards the east wing and you will find a fabulous kitchen that has been updated and is perfectly located in the heart of the home, with views out to the rolling hills and redwoods and easy access to the deck which features ample room for dining al fresco. 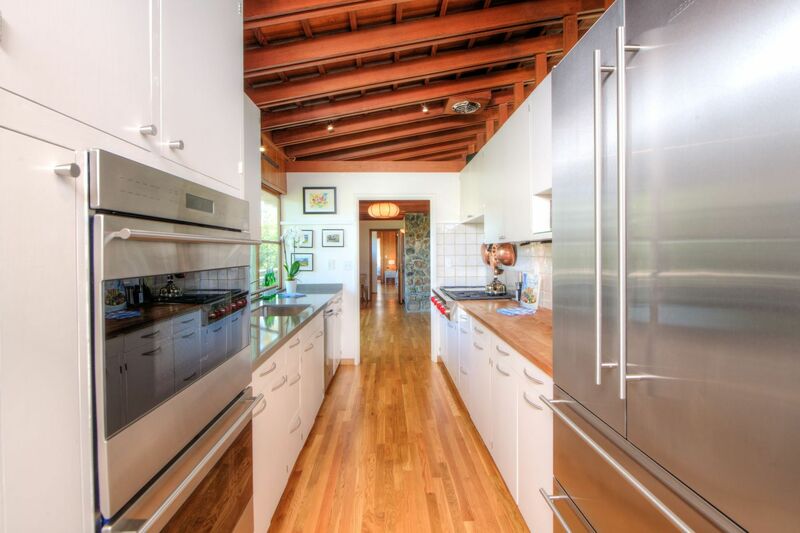 The kitchen is highlighted by all stainless steel appliances including a six-burner Wolf range with griddle, a Wolf double-oven, a Liebherr refrigerator, Caesarstone quartz & butcher block countertops, and plentiful storage. 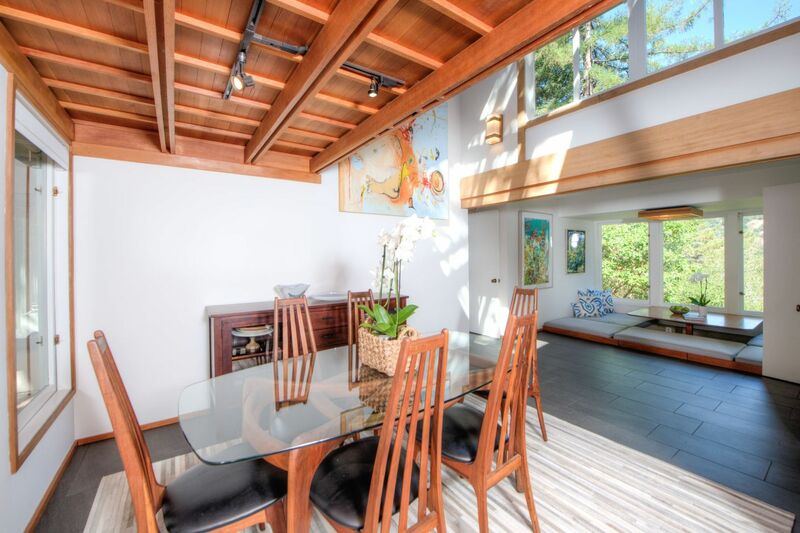 Just off the kitchen is a light-filled space highlighted by a second-floor open library with skylights including a built-in ladder and walls of bookshelves and access to the roof, a cozy formal dining area, and casual, built-in sunken dining area with custom made cushions and a wall of windows looking out to the beautiful views. 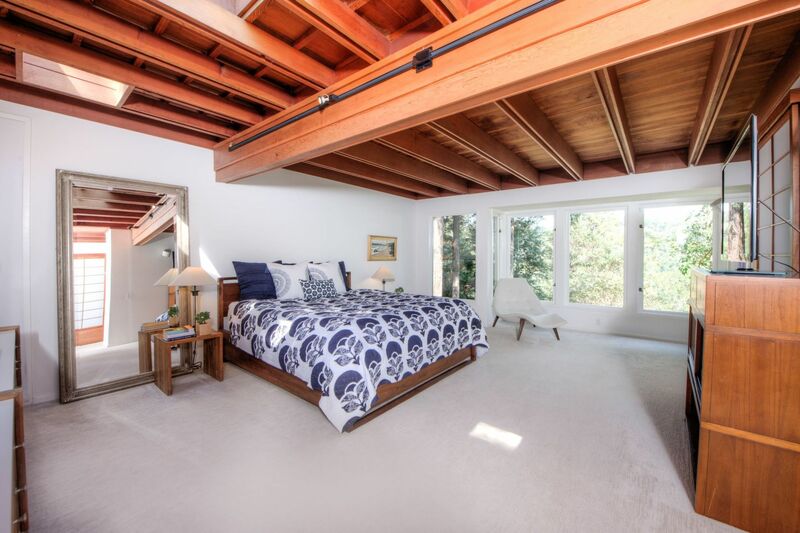 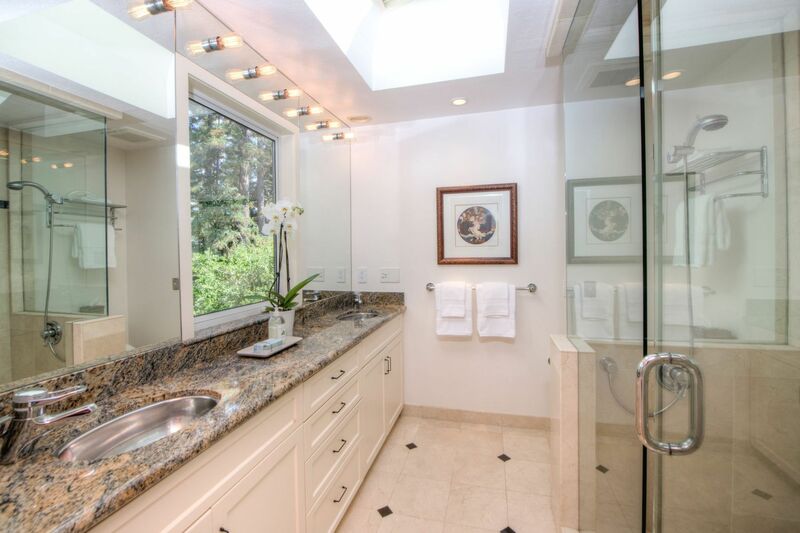 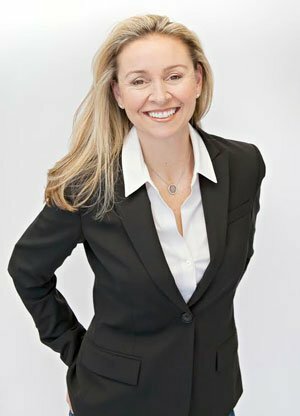 The master suite bursts with light and features a full wall of spacious closets, multiple skylights, a sitting area, an office with a separate entrance and views out to a lush patio, and a tastefully updated en suite bathroom with a double vanity. 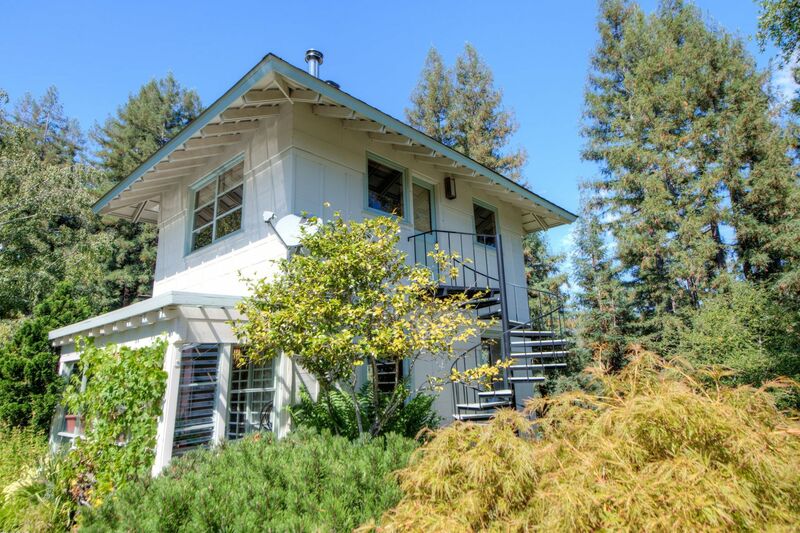 An external staircase from the main home leads to a second unit featuring a kitchen, full bath, and a wall of built-ins with room for a queen bed and a wood-burning stove. 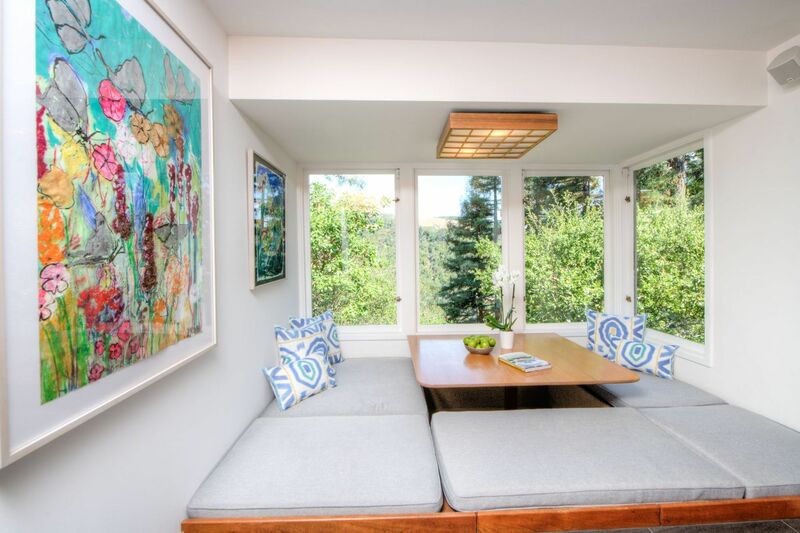 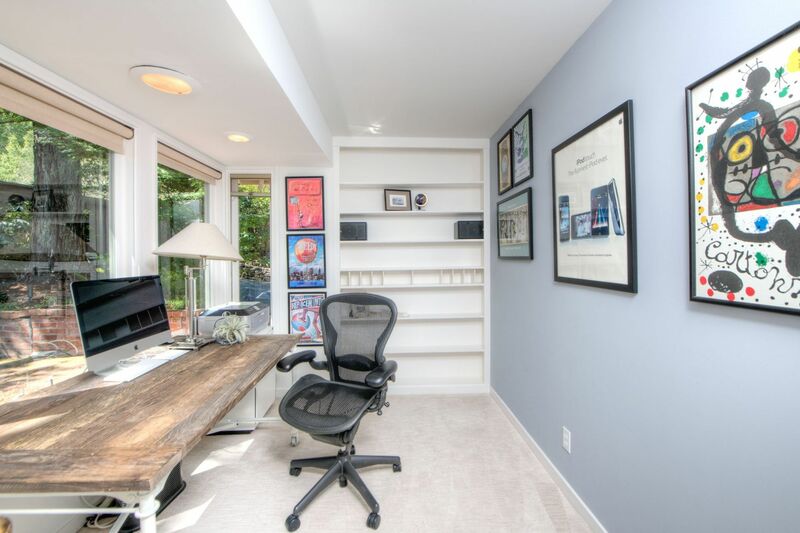 There is access to the roof and a sitting area from this unit as well as private, separate entrance from the street. 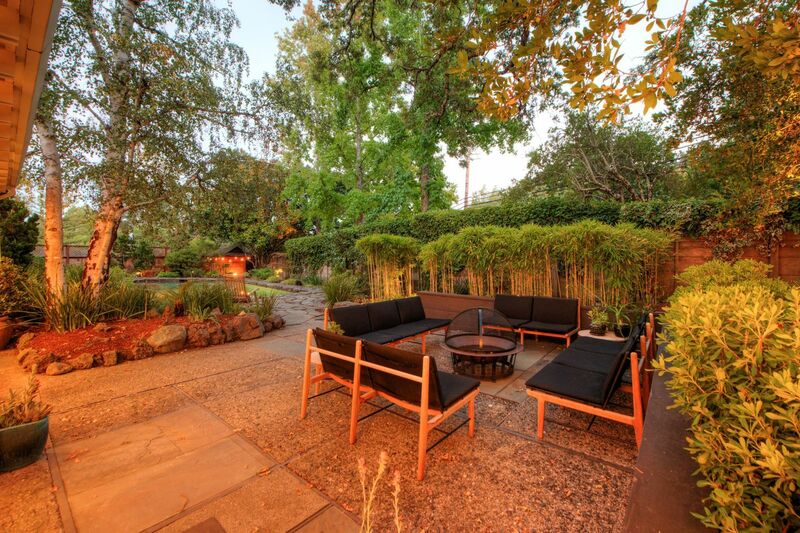 The outdoor areas of this incredible property are exceptional. 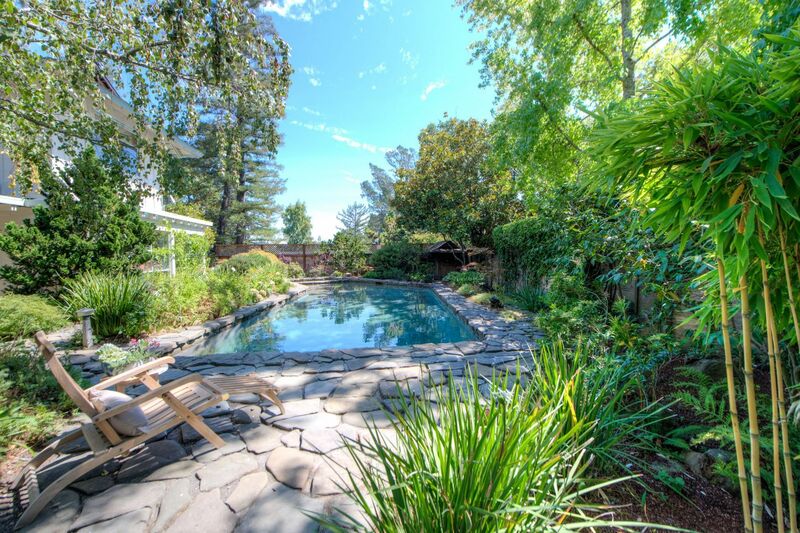 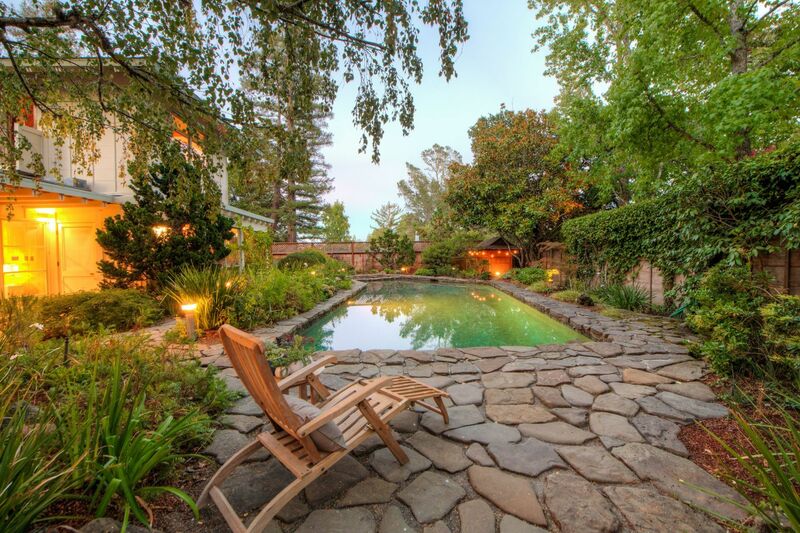 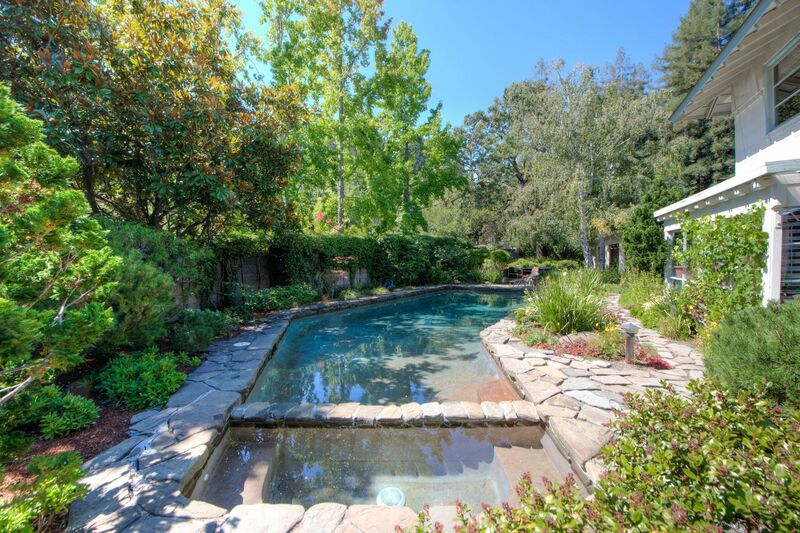 The pool + hot tub area is surrounded by gorgeous landscaping and a nearby sitting area. 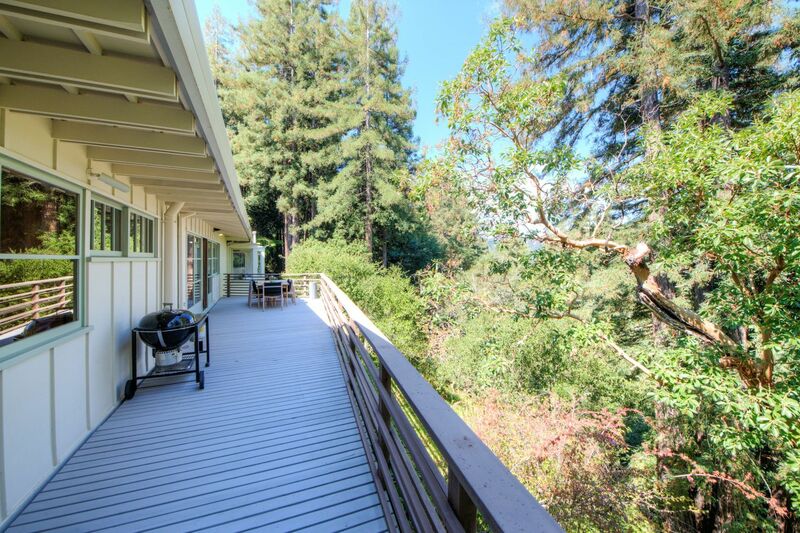 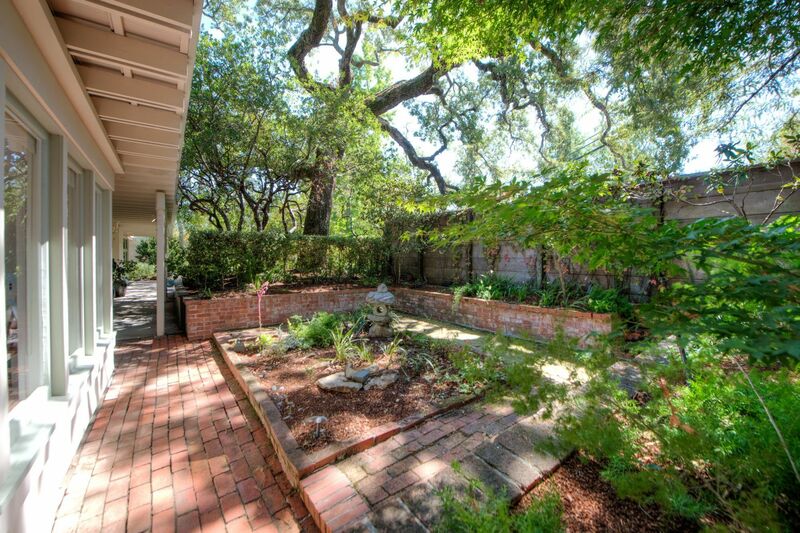 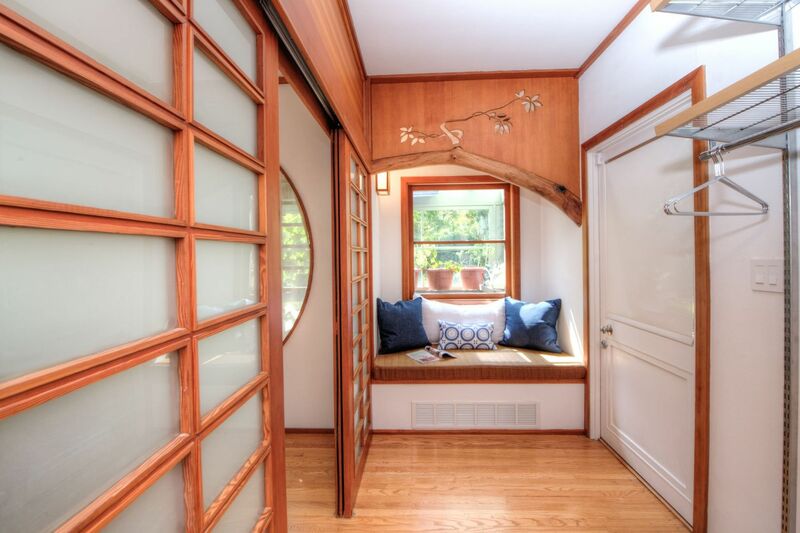 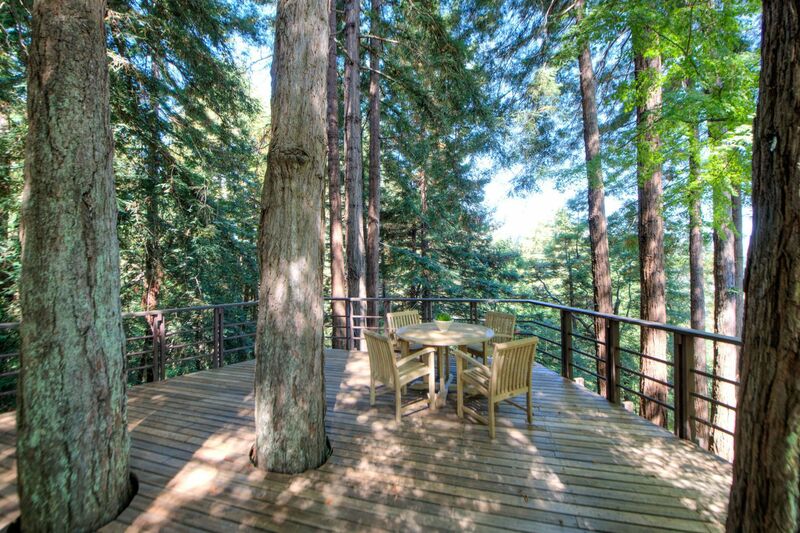 Meander down the path from here and there is a patio area and an additional deck set amongst the Redwoods – a perfect spot for yoga, meditation, or just relaxing with friends. 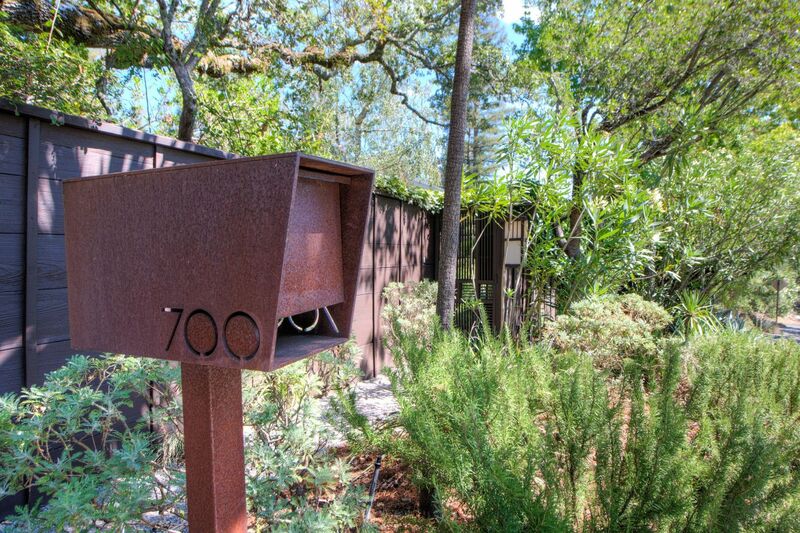 The property is extremely private and gated. 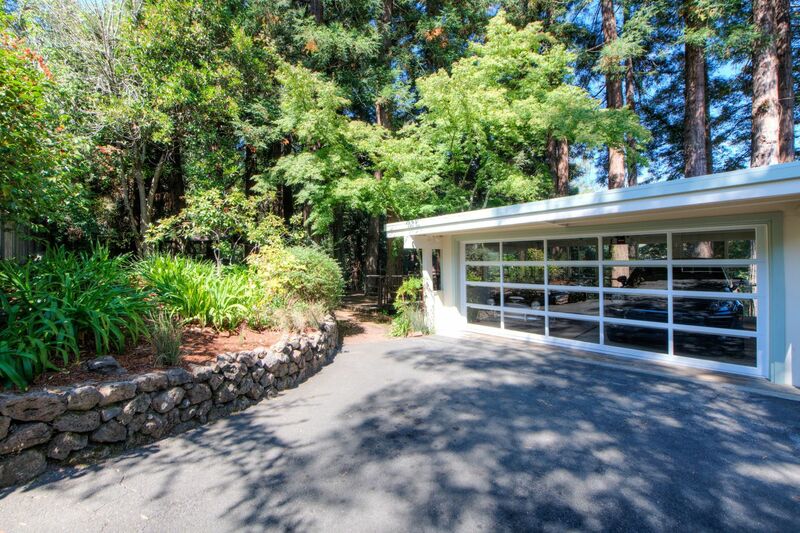 There is a two-car garage and plentiful off-street parking. 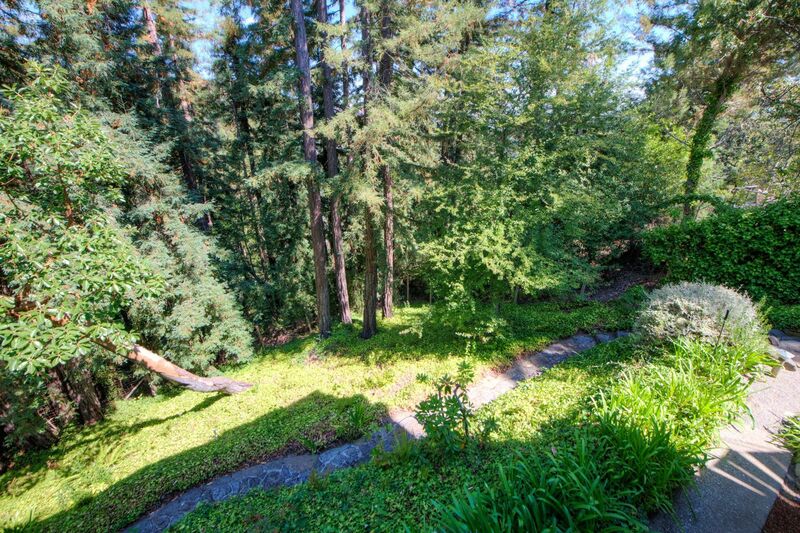 Close proximity to the Meadow Club (built in 1927, the first course in North America designed by famed course architect, Alister MacKenzie), hiking and biking trails, excellent schools, parks, and charming shops and restaurants in downtown Fairfax. 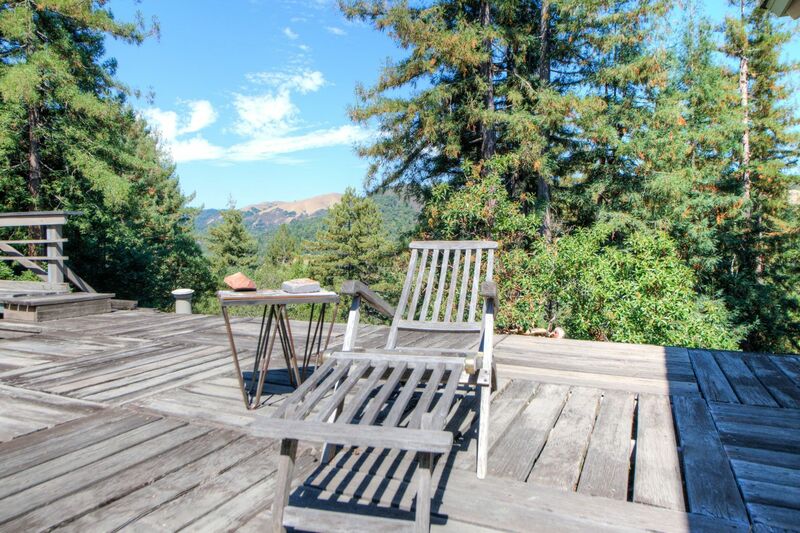 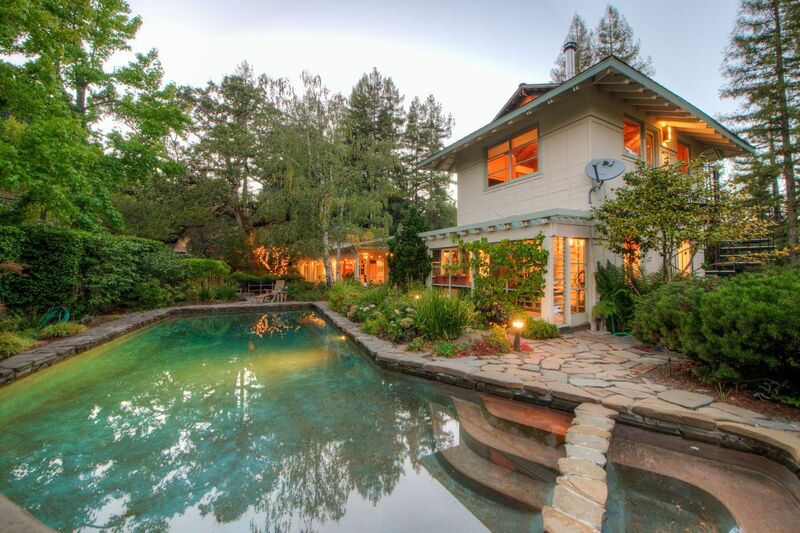 Don’t miss this truly incomparable property.